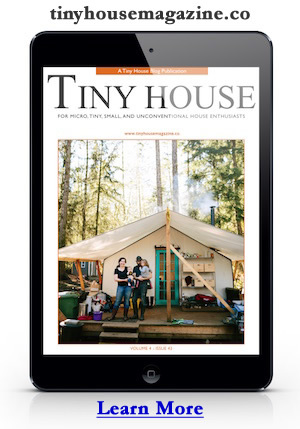 101 Tiny House Designs is a book of ideas and illustrations for tiny house dreamers. Designing tiny houses is a balancing act, especially for the smallest homes. 101 Tiny House Designs is a book of ideas and illustrations for tiny house dreamers. Designing tiny houses is a balancing act, especially for the smallest homes. The book is over 400 pages and available as an ebook and in print. Inside you’ll find 101 design concepts from 12 to 32 feet long. You’ll see a variety of styles, layouts, themes, and common patterns. If you’re designing your own home you can use the ideas here as building blocks to compose your ideal tiny house. The Author, Michael Janzen, has been designing tiny houses since 2007. You can see more tiny house design at TinyHouseDesign.com.